Forget those containers of storebought caramel dip. 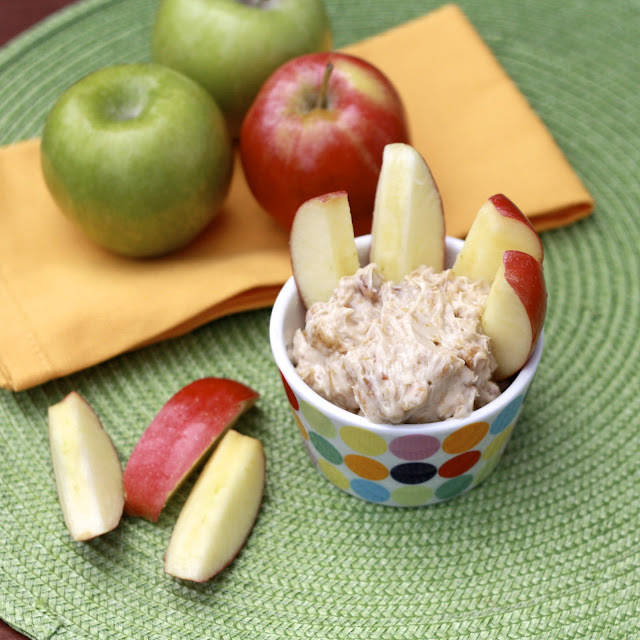 If I’m going to dip my apples in something that isn’t peanut butter, it’s got to be this dip! This is one of those recipes from my mom’s kitchen, and one of the first I posted on the blog. Three years later, it was time to take a new picture and share it again, although it certainly isn’t the first time I’ve made it since then. I’ve made it for several different church gatherings as well as the Cheesecake Party because it’s always a guaranteed hit. With only a few ingredients, it could not be easier. Think cheesecake meets peanut butter meets caramel. It really does taste like a caramel apple! 1. In a large bowl with an electric mixer, beat cream cheese with sugars and vanilla until smooth. Stir in peanuts. 2. Refrigerate in a covered container until chilled. 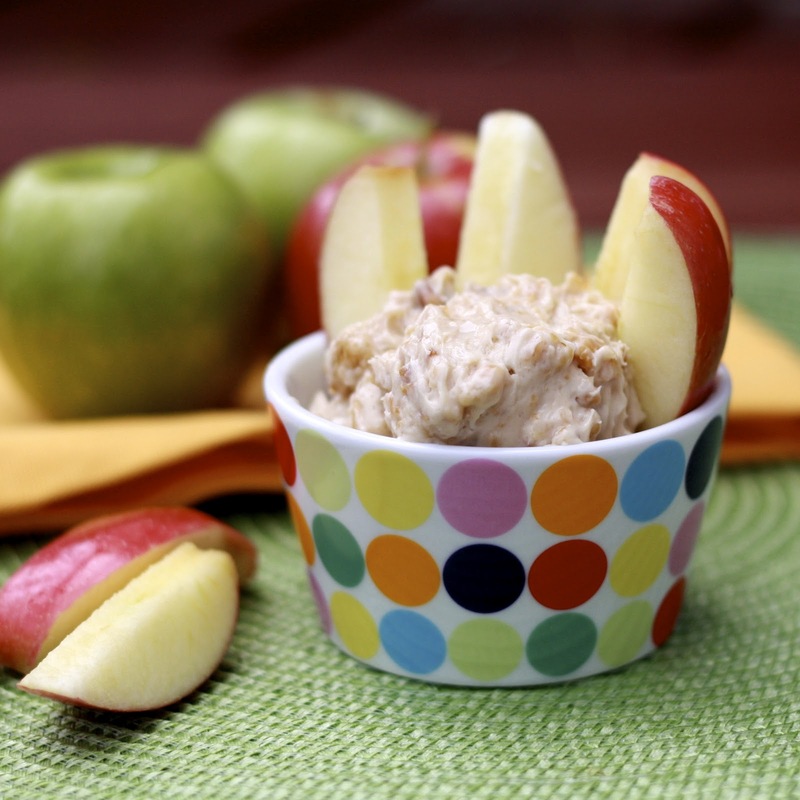 Serve with apple spices.